There are two ways with which you can use the "Star" option to interact with the dashboard. First, starring a keyword forces it to the top of the table display. Even when you sort your keyword list by name, rank, or other metric, the "Starred" variable overrides any other sorting, and the starred keywords will always appear first, at the very top. Second, you can choose to filter your keywords, so that only starred keywords are displayed in your table view. To do so, click the "Settings" button to the right of the "Time Period" selector. Then, from the "Filters" drop down, select "Starred Keywords". No need to click "Save". The dashboard view will instantly update to display data for starred keywords only. 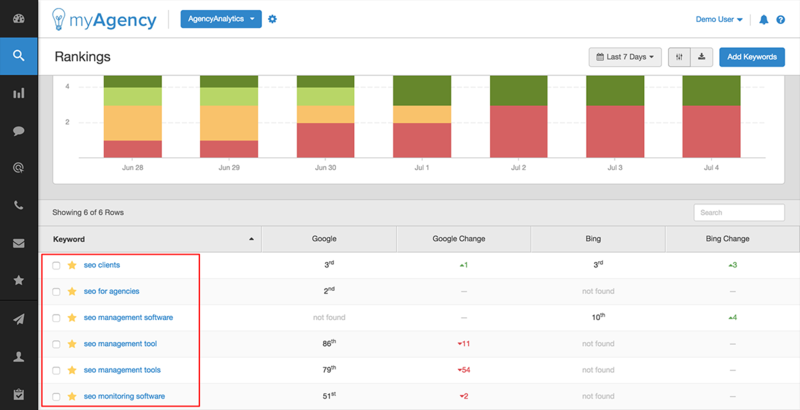 In addition to only displaying the starred keywords in the table, the graphs will also update to display data solely as it pertains to your starred keywords for this campaign. 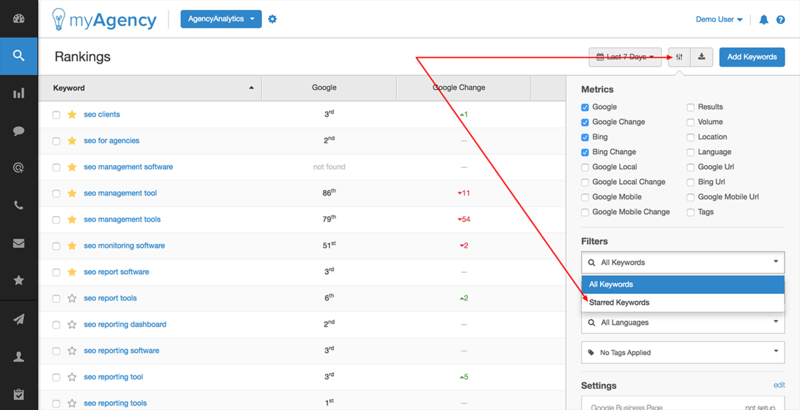 To return to a display with all keyword data, simply click the "Settings" button again, and then select "All Keywords" from the "Filters" drop down.